The day has arrived quickly, but Delta, British Columbia’s Pricilla Westlake is fulfilling a dream. 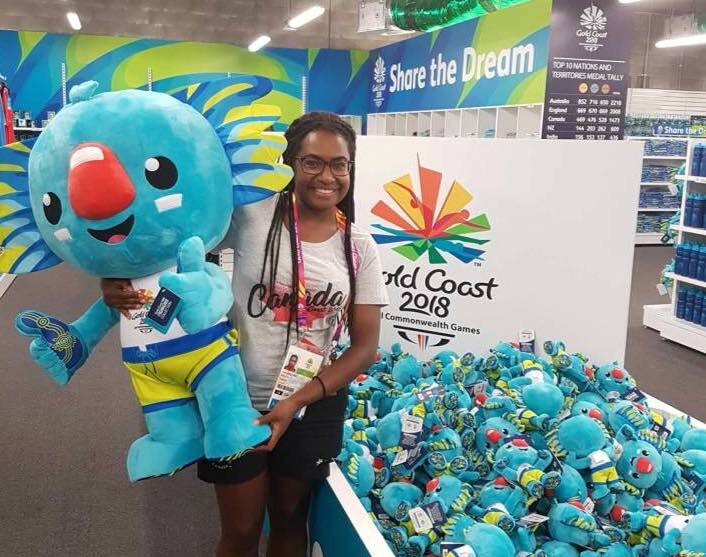 She will participating in the 2018 Commonwealth Games being hosted on the Gold Coast of Australia. She has had her sights set on this for the last 4 years and has worked extremely hard to make this years Team. Pricilla has worked hard, put in the time and has compiled an undeniable resume to earn her spot with Team Canada. I had a chance to catch up with Pricilla over the past few days to see how she was doing and asked her a couple of quick questions leading into the start of the of the competition. This will be your first Commonwealth Games, what are you looking forward to most experiencing? “I am looking very forward to the 2018 Games which start April 4 and run until the 15th, 2018 and I am loving the atmosphere. There’s something so incredible about seeing and being among so many talented and dedicated athletes from various sports. The experience I’ve had so far at these Games has been simply indescribable. I’m really enjoying myself here and being able to share my experience with my friends and followers on social media (Facebook, Instagram, and Twitter)”, she replied. “I’ve always had my eyes set on competing in the Games and now that I am training for them at the actual venue and living inside the athletes village it is everything I hoped for and more. Being at the Gold Coast 2018 Commonwealth Games on Team Canada and being able to represent our nation at this level is unreal and such an honour and a privilege and I take that responsibility very seriously”. “I have prepared for this moment since before the previous Commonwealth Games in Glasgow, Scotland back in 2014. Missing out on making the team for the previous Commonwealth Games made me work that much harder to be the best bowler I can be and get selected for this year’s Games”. You are playing in the Fours and the Triples at this years Games, how do you feel about your chances on bringing home a medal? “I am apart of our women’s fours and triples team for these games and I am confident we can medal in both disciplines since we have strong, assured and experienced players on each team. Ultimately medalling will come down to the processes we take in executing our goals and objectives as effective teams”. “Training has proven to be successful so far for myself and my teammates and I look forward to everything the Games has to offer once competition begins. Ultimately I’d like to medal in both fours and triples events. That would be a dream come true”. You have been in Australia for such a long time, are you having a hard time staying focused or are you finding the constant change of atmosphere helping you? 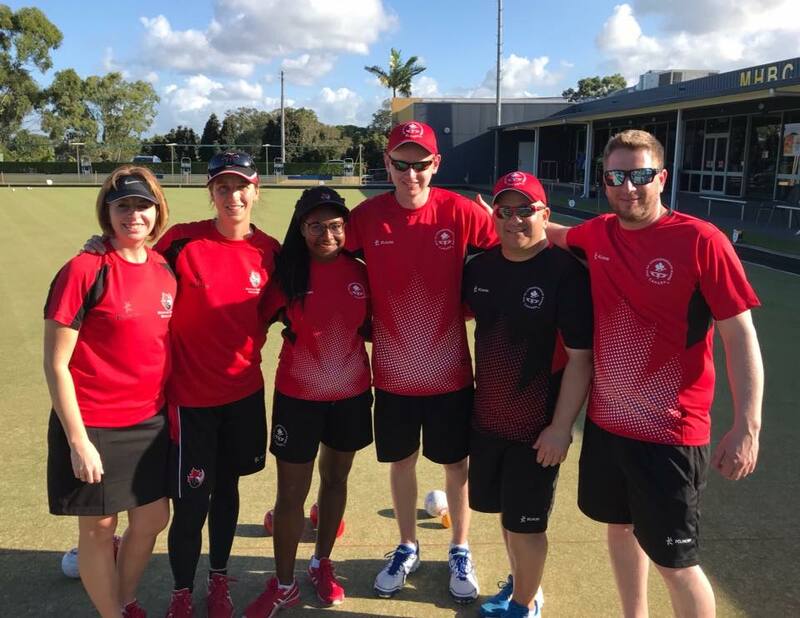 “I think being in Australia in both the Gold Coast area and South of Sydney, Australia and being able to practice on those greens and in the warm weather helped condition me for what bowling in the heat, humidity, sun, wind, and rain will be like during the Commonwealth Games at Broadbeach Bowls Club. I had numerous breaks from bowling while being here in Australia for other competitions, and I also did some intensive training on my own and with a teammate in the weeks leading up to the Games”. We are all really proud of you Pricilla and wish you nothing but the best. Enjoy your time and the experience as it is just the first of many. Best of luck from all the Bowls BC members and have a blast!